Medical Media Images Blog: What is "Spina Bifida"? What does “Spina Bifida” mean? The word “spina bifida” comes from the Latin words “spina” meaning spine, and “bifida” meaning split. As a whole it means a “split spine”. This means the spine did not completely form at birth. How does Spina Bifida develop? The condition of spina bifida develops in an embryo. At the time in the embryo’s development when the spine if formed (23rd-27th day after condeption), one or more vertebrae fail to completely form around the spinal cord. This leaves an area on the back of the spinal cord open, which is vulnerable. In some children, the spinal cord can literally bulge out through the opening between the bones and can be found just under the skin or even push through the skin. Where in the spine does Spina Bifida happen? The most common location for spina bifida is the low back (lumbar spine) and tailbone (sacral spine). What are the risk factors for Spina Bifida? Do Folic Acid Supplements help prevent Spina Bifida? Studies have shown that Folic Acid supplements taken in pregnancy can reduce the risk of spina bifida by 70%. Are there different forms of Spina Bifida? The word “occulta” is the Latin word for “hidden”. This form of spina bifida is the mildest. The split in the vertebra is so small that the spinal cord is typically not at risk. This condition is present in 10% of the population. It is unclear at this point if the presence of spinal bifida occulta predisposed patients to develop back pain. This is the least common form of spina bifida. The outer lining of the spinal cord, called the dura, is caught in the defect of the vertebral bone. This forms a cyst which contains spinal fluid. However, typically the spinal cord or spinal nerves are not found within the cyst and are not at risk of compression or injury. Children with this condition usually develop normally and may not require care. The word “myelomeningocele” means “a cyst which contains a portion of the spinal cord”. This is the most severe form of spina bifida. Often the spinal cord and spinal nerves will herniate through a large defect of the vertebra and are found within a sac (cyst). The portion of the spinal cord contained within the cyst is often abnormal. This can produce life- long neurological problems, such as loss of sensation or paralysis of the legs. How can mothers be screened for Spina Bifida? AFP (alpha-fetoprotein) is a blood test of the mother. High levels of this protein can be suggestive of spina bifida. To establish the diagnosis, it is recommended that an ultrasound of the fetus be performed as well as an amniocentesis (analysis of the fluid around the fetus). Ultrasound. Ultrasound can often identify the condition of spina bifida. Spina Bifida Occulta and Meningocele may not require any type of treatment. However, Myelomeningoceles will typically require a surgical correction. While this surgery has been successfully done in a fetus (baby is still in the mother’s womb), it is typically done shortly after birth. 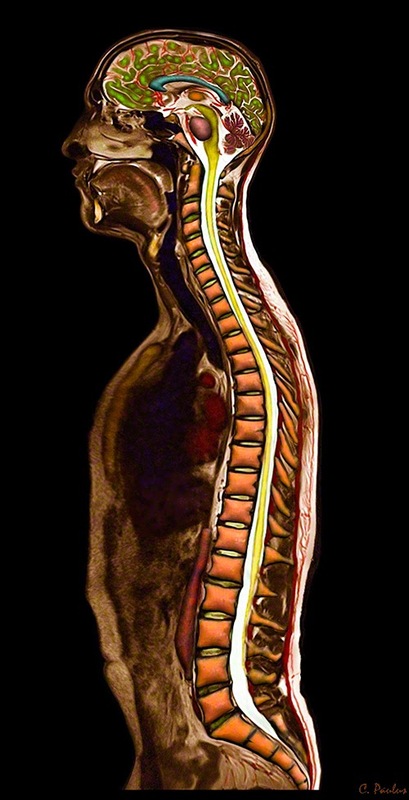 The surgery for a myelomeningocele involves placing the spinal cord back into the spinal canal, covering it with a membrane (dura), and closing the spinal defect as best possible. A small tube is also inserted to shunt some of the spinal fluid away from this vulnerable area to allow it to heal. The surgery may not be able to restore the neurological function, but rather often serves to avoid further complications.